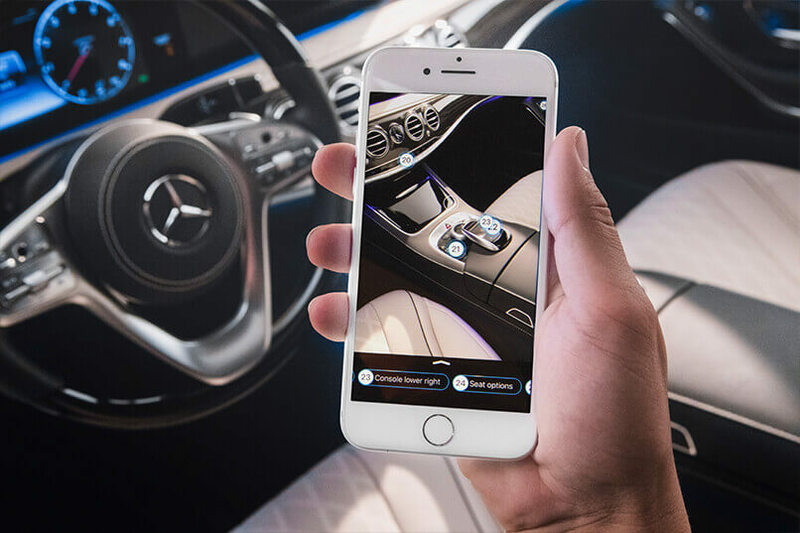 The app becomes a conversation partner: Thanks to the Ask Mercedes virtual assistant, this has become a reality, because the free cellphone app combines a chatbot with augmented reality. 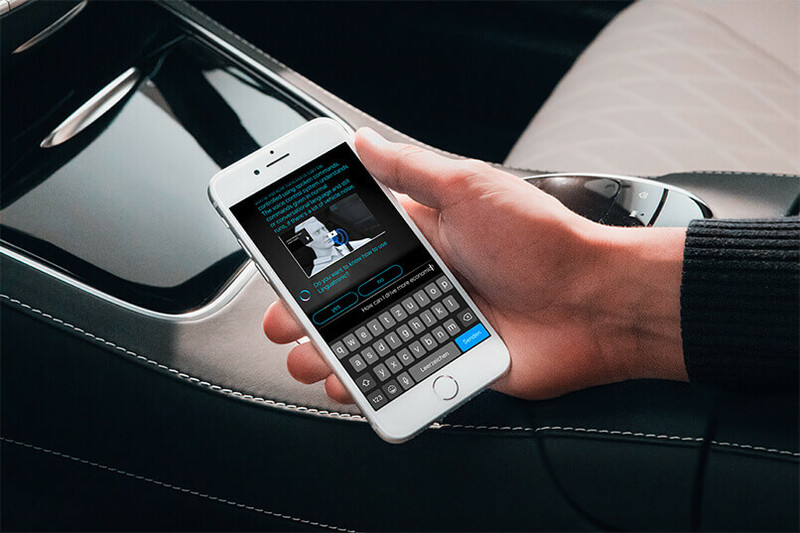 The intelligent virtual assistant gives customers with questions on operating their new vehicle answers in real time. The camera shows the whole interior, and the system explains to the customer all targeted functions. 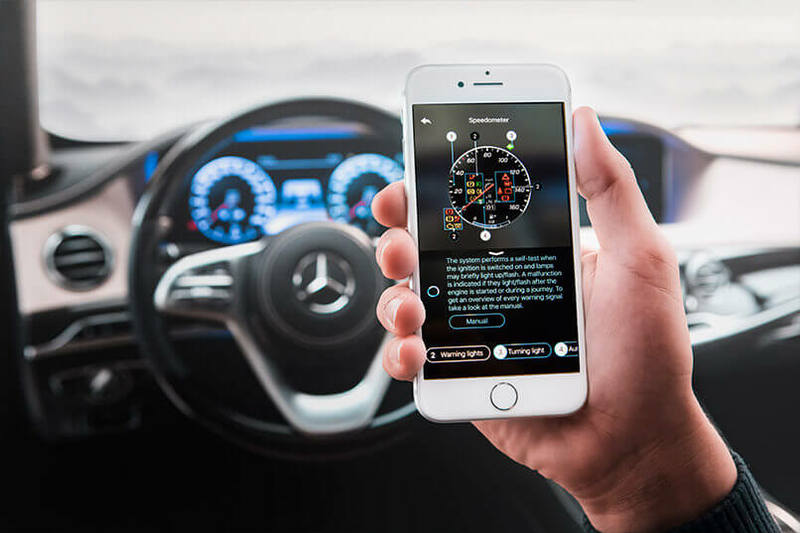 Those who want to learn about their vehicle at their leisure can also use Ask Mercedes at home through social media or with the Amazon Alexa speech recognition assistant system. To collect thousands of realistic questions on vehicle operation, customers and other interested people from London to Pretoria to Sindelfingen were surveyed ahead of time. This allowed the content to be optimally adapted to customers’ varying interests and information needs. Ask Mercedes understands natural speech and comprehends various forms of questions. The system answers both very general, pragmatic questions and very technical ones. So it provides answers to questions like, »How can I drive more economically?« and, »What is Dynamic Select?«, but also ones like, »Who is actually the boss at Mercedes?« Images and videos are often integrated with the text. With augmented reality, vehicle functions are even easier to get to know: If the user points his cellphone at the instrument panel, the steering wheel or the central console, the display superimposes numbers for the controls. If you tap one of them, you’ll get information on that object. What was challenging about Ask Mercedes? Implementation of a shared service platform for cars, vans, trucks, Smart, AMG, etc. The first time you talk to customers who use Ask Mercedes, and they realize how many new possibilities it opens to them, their facial expression is priceless. After rollouts in various markets overseas, such as South Africa, India, Malaysia, New Zealand, Australia and Hong Kong, Ask Mercedes will see continued development in coming months. A German version of the app will also launch in 2018.